When it comes to pet food, a hundred dollar bill is not what it used to be. In a recent online survey of over 1000 pet owners with children, 72% admitted that they spend more quality time with their pets than they did with their own children. No wonder we are motivated to spend more money than ever on our pets. But does a higher priced pet food necessarily mean higher quality? I recall the first pet food to sell for over $30 per big (40 to 50 lbs) bag about 25 years ago. The talk at the time was that people will “never” pay that much for a bag of food. How times have changed. Today, $30 is a relatively inexpensive price for a big bag of pet food. In fact, the word “big” now refers to a bag of food that is closer to 30 lbs than to 50 lbs. When it comes to setting pricing records, one pet food company in particular offers a red meat formula dog food for sale in pet stores that is marked at $99 for a 30 lb. bag. Seriously? Do we really need to spend a $100 bill for a 30 lb. bag of pet food? The answer to this question is “only if you want to”. 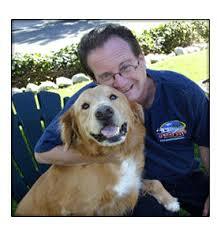 Dr. Elliot Harvey, founder of Great Life™ Pet Food recognized the problem of ever more expensive pet foods being offered for sale in a national economy that has been struggling. He decided to formulate a truly superior, affordable food that does not require a second mortgage to buy. Dr. Harvey was able to cut some costs by using a plain foil bag with a hand applied label instead of a fancy, printed bag. He also decided to use high quality “meat meals” (dried meat) instead of the ground real meat found in his Great Life™ brand products. The result is a very affordable, Pioneer Naturals™ brand dog food. Pioneer Naturals still has the real freeze dried raw food and salmon oil coating Dr. Harvey pioneered with his Great Life™ pet food, but it is offered at one of the lowest prices for a natural dog food you can find. We suggest that you try a 30 lb. 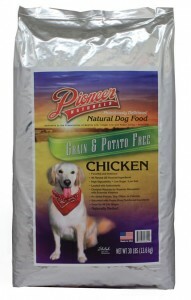 bag of Pioneer Naturals™ for your dog – the price starts at around $40 for the chicken formula. Whitefish, Pork and Venison formulas are also available for purchase. ( You may also choose between grain or grain-free formulas.) The real freeze dried food coating found in Pioneer Naturals offers a level of natural vitamin, mineral and enzyme absorption the hundred dollar food can’t touch. Perhaps then you can use the other $60 dollars you save to buy something else….like maybe a new pair of shoes! Find Pioneers Naturals at a Northland retailer near you!